Gift from the Joyce and Don Massey Family Foundation supports coordinated emergency-critical care, a research competition, and traumatic brain injury education. John Beckman was attending a gathering of friends on his rooftop patio at an off-campus building near U-M in November 2016. He was talking to a friend, then leaned back to sit down and fell more than 12 feet, landing headfirst on the sidewalk. He was rushed to the newly created Joyce and Don Massey Family Foundation Emergency Critical Care Center (Massey EC3) at Michigan Medicine. “John was extremely ill when he arrived on the unit. He had multiple brain bleeds, severe brain swelling, contusions in the lungs, and a burst fracture in his thoracic spine. He was not expected to survive without life support,” recalls Venkatakrishna Rajajee, MBBS, clinical associate professor of neurology, the neurointensivist who cared for Beckman. John’s terrified parents raced from their home in Michigan’s Upper Peninsula to Ann Arbor, fearing the worst. While Liz and Mark Beckman and their daughter were driving south, a neurosurgeon performed a decompressive craniectomy — surgery that involved removing a large part of John’s skull to try to relieve the pressure that was building up in his brain. Liz recalls being gripped with fear. When they arrived at the U-M Hospital, John was out of surgery and had been transferred to the neurointensive care unit. The next month would be filled with ups and downs as John made the nonlinear path to what they hoped would be a recovery. A month after he was admitted to the hospital, after all of the prayer vigils and setbacks and turning points, John was released. The family would later learn that, without the coordinated and high-quality care that John received immediately in the Massey EC3, he very likely would have died or been in a vegetative state. “He was brought to the Massey EC3. That was the starting point,” Liz Beckman says. “They were able to assess him fast, get him into surgery fast. They were able to do everything quickly, and that’s a huge factor in his successful outcome. The EC3 and excellent health care providers are really what saved his life. The Massey EC3, where John Beckman was treated, is one of the efforts funded by a significant gift from the Joyce and Don Massey Family Foundation. The Masseys, a prominent Michigan family, had first-hand experience with emergency treatment and traumatic brain injuries (TBI). In 1983, Joyce Massey was in a car accident that affected her ability to speak, eat, move, and even breathe. 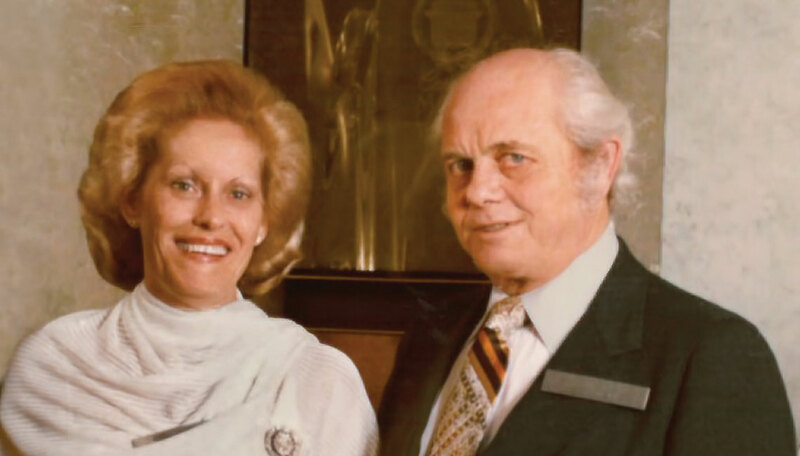 At her side was her husband, Don, an auto dealer who built a network of 28 car dealerships in eight states. Joyce’s experience introduced the Masseys to the daily struggles of TBI and the need to treat patients who have TBI and other life-threatening conditions immediately and attentively. The Massey EC3 is one part of the fulfillment of the Massey Family Foundation’s goal of improving treatment in the first crucial hours of a patient’s care. With the ICU essentially being brought into the emergency department, the space provides a higher level of care during those golden hours and often eliminates the need for a patient to be transferred to the regular ICU. It also establishes a space for teams to test new diagnostics, devices, and treatment strategies — all of which could benefit not only patients with TBI, but those who suffer strokes, sepsis, and more. Robert Neumar, M.D., Ph.D., professor and chair of emergency medicine, and his predecessor, William Barsan, M.D., worked with the Massey family to develop the EC3 as well as a network of integrated TBI programs at Michigan Medicine. The Masseys’ daughter Brenda, who serves as president of the Joyce and Don Massey Family Foundation, and the foundation’s trustees have worked with Michigan Medicine leaders and researchers to fund programs that will accelerate improvements in TBI treatment. The Massey TBI Grand Challenge, created by the Michigan Center for Integrative Research in Critical Care (MCIRCC) and conducted in partnership with the U.S. Department of Defense (DOD). The competition aims to help researchers find new ways to diagnose, monitor, and treat TBI during the early hours of care. The Joyce Massey TBI Summit, which brings together leading national and international scientists and key opinion leaders to present cutting-edge research, exchange ideas, and discuss the future of TBI research. The Massey Emergency Critical Care Center (EC3), the ICU-level center described previously. The gift from the Massey Family Foundation already is producing results. The Massey EC3 has treated 8,506 patients since it opened in 2015, with 92 percent of EC3 patients enrolled in an evidence-based care pathway. In that time, there has been a 12 percent reduction in the risk of in-hospital death, compared to patients admitted from the ED with similar disease severity prior to the opening of EC3. There has also been a 21 percent reduction in ICU admissions from the emergency department, which creates more ICU capacity for other critically ill patients. In addition, MCIRCC and the Department of Defense have launched numerous successful projects as a result of the annual Massey TBI Grand Challenge. Four years of the Massey TBI Grand Challenge have led to the funding of 24 projects. At the challenge, the finalists make Shark Tank-style pitches to the Wolverine Den panel, made up of clinicians, innovation and commercialization experts, national TBI experts, and representatives from the DOD. In all, more than $2.3 million has been awarded. Several of the winning projects are in the licensing and commercialization phases, including a Trans-ocular Brain Impedance device that allows rapid and precise noninvasive monitoring of the injured brain and Barreleye, a software based decision-support tool for TBI care. The use of valproic acid to reduce brain injury and prolong survival is advancing to an early clinical trial phase. Perhaps the most visible results of the Massey gift are the patients who survived, thanks to their care in the Massey EC3. John Beckmann, now a junior at U-M, is forever grateful. “I’m alive. I’m doing just fine. They pretty much brought me back to life,” he says. Content from Leaders & Best: Giving at Michigan was used in this story.